"Can A Betelgeuse Become A Batman?" A window into the past! 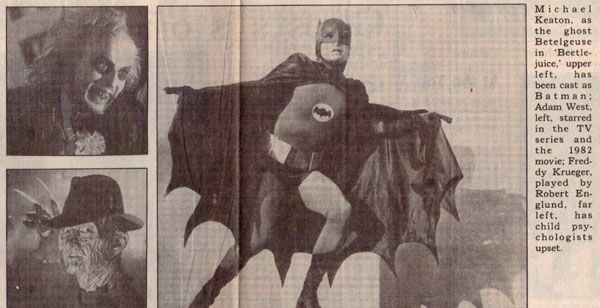 When Michael Keaton was first announced as portraying the caped crusader, many fans were up in arms. This article from way back in September of 1988 (shortly after the Keaton casting announcement) highlights the worries of many fans and gives thoughts as to how Keaton might work in the role.